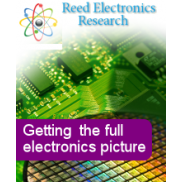 RER has published a wide range of studies on various sectors of the electronics industry with the focus today on electronics manufacturing. From in-depth strategic studies combining both market and company data through to comprehensive company databases the reports provide a cost-effective way to track specific market segments. In addition RER offers consultancy for your own research requirements and on-site presentations on the current state of the industry. RER produced its first study on the European EMS industry in 1993 and since then has published a series of regular reports on the sector including an in-depth strategic study, an annual analysis of the Top 50 European EMS providers and a database covering over 1,300 European EMS manufacturing locations. In addition to the published reports RER can provide custom research on the industry to meet your specific requirements. 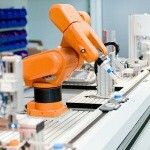 A comprehensive database of the leading EMS companies covering around 1,000 manufacturing facilities in North America. The European Electronic Manufacturing Services Industry 2017-2022 A Strategic Analysis of the.. The European EMS Industry - An Analysis of the Top 50 European EMS Providers This timely repo..
After declining for three consecutive years between 2012 and 2015, in part due to weak.. The European EMS Industry - Database of European EMS Providers The database provides a compr.. The North American EMS Industry - Database of North American EMS Providers The database prov..